How does architecture as a discipline think about alteration? Is our theory and method for confronting the existing sufficient? How can the ambition and engagement in alteration design be raised? 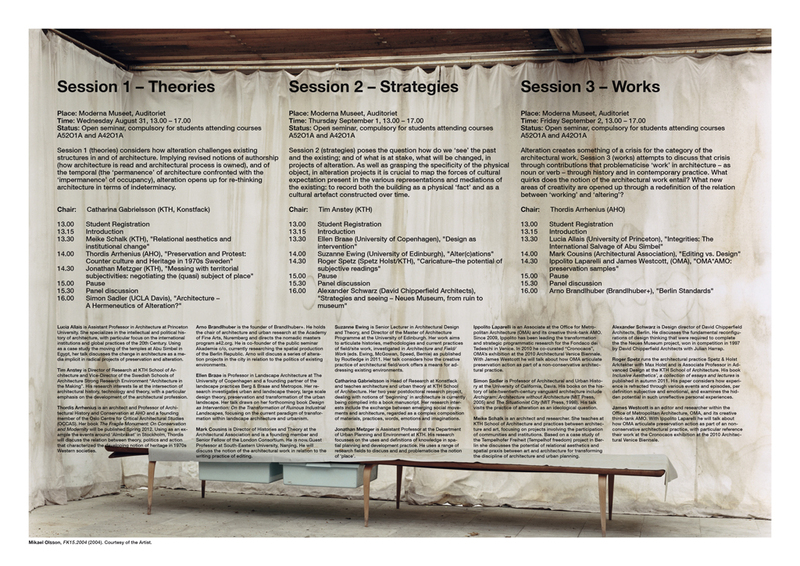 This three-day symposium examines strategies and tools relating to alteration - the reconfiguring of existing environments in the pursuit of architectural creativity, social resilience and sustainable agendas. The event is organised by KTH School of Architecture and supported by the Swedish Schools of Architecture Strong Research Environment "Architecture in the Making”.